Rail travellers heading for Cologne this summer should prepare for revised rail timetables (photo © Hiro1775). This article was updated on 22 April 2015. Sometimes a temporary alteration in timetables can have repercussions on travel itineraries across a wide area. And that’s just what will happen this summer when engineering work between Aachen and Cologne will mean significantly extended travel times on journeys crossing the Belgian-German border at Aachen. 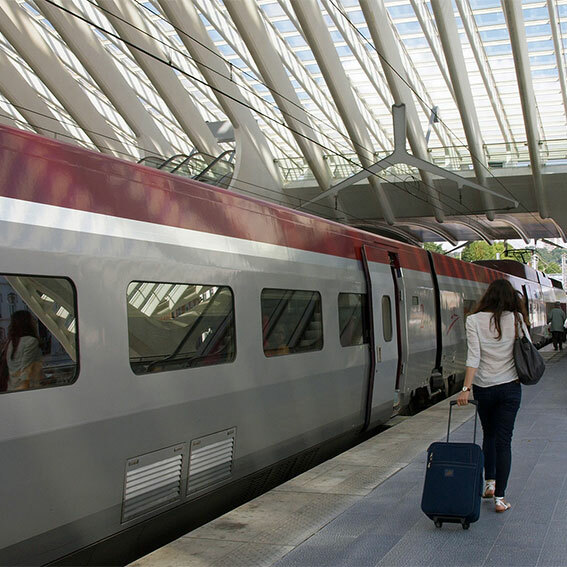 For a six-week period 27 June to 9 August 2015, most trains between Brussels and Cologne will be timetabled to take at least an hour longer for their journeys. The route is served by two high-speed operators: Thalys and Deutsche Bahn (DB). Thalys have some fabulously complicated timetables that vary almost by the day during this period. Full details are given in a dedicated page on the Thalys website. Do note that some Thalys services which would ordinarily continue beyond Cologne to Düsseldorf, Duisburg and Essen will terminate at Cologne. Deutsche Bahn has recast its ICE timetable on the Cologne-Brussels axis for this six-week period. This ICE link is popular with passengers using DB’s London-Spezial fare for journeys between London and Germany — changing between DB and Eurostar at Brussels Midi. Passengers who have for years been used to taking Eurostar 9126 just before 11 in the morning from London to Brussels to connect there onto the 14.25 to Cologne and Frankfurt will find that there is no convenient onward ICE connection from Brussels during that six-week period. Our advice is to start two hours earlier from London, using Eurostar 9116 from St Pancras to Brussels. This train arrives in Brussels just after midday, giving a comfortable connection onto the 13.00 ICE departure to Cologne. 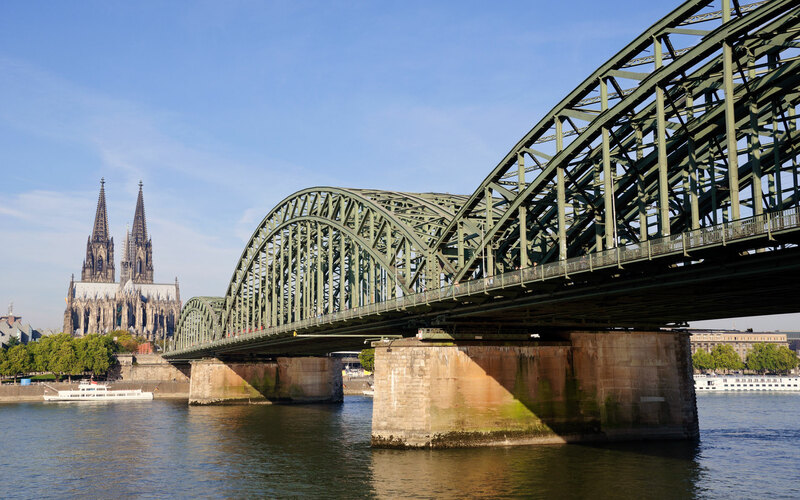 The extended journey times on the Cologne-Brussels leg will mean that passengers undertaking longer itineraries from Germany to London will need to check that same-day connections are indeed still possible. Many Londoners have become accustomed to making far-flung journeys via Germany to far-distant points on the continent within a single day — utilising a combination of DB’s great-value advance purchase tickets. With an early start from London (on the Eurostar which leave St Pancras at 06.50 Mondays to Fridays or at 06.57 on Saturdays), it would normally be perfectly possible to travel via Belgium to Germany to reach the following destinations by late the same evening. But note that none of these routings will be possible in summer 2015. Passengers embarking on such journeys will generally need to make an overnight stop along the way. In some instances, it is possible to continue travelling beyond midnight on various trains to secure an arrival at the final destination in the early hours of the following morning. Copyright © Nicky Gardner and Susanne Kries. All rights reserved. Nicky and Susanne manage hidden europe, a Berlin-based editorial bureau that supplies text and images to media across Europe. Together they edit hidden europe magazine. Nicky and Susanne are dedicated slow travellers and the authors of the Europe by Rail guidebook. The 15th edition of that book was published in November 2017. You'll find a list of outlets that sell the book on our website. Every month, the new edition of the European Rail Timetable (ERT) includes an invaluable section called Newslines, which highlights significant new developments in European rail travel. The latest Newslines can be downloaded below. Earlier issues can be found here. New rail timetables for the former Soviet Union come into effect later this month. There remains some uncertainty about some services, but for travellers heading east, here are a few thoughts on what to expect: the return of the Berlin to Kaliningrad night train, a new link from Riga to Minsk, a direct daily train from Berlin to Ukraine and more. There are a few changes on Eurostar this week with the introduction of a new Standard Premier class on services linking London with Brussels and Paris. Standard Premier replaces Leisure Select as the middle tier of the three class service on Eurostar's capital city services. Many readers of the guidebook Europe by Rail have commented on the fabulously complicated arrangements that surround Berlin's railway stations. To us, it all seems crystal clear, but then we know the city well. We offer here some guidelines that help travellers find their proper place of departure or arrival.